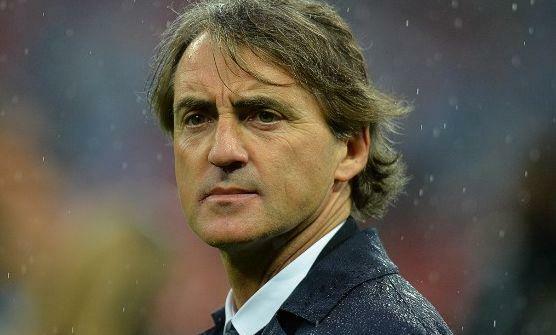 Roberto Mancini – A year to the day after winning Manchester City’s first championship in nearly half a century, coach Roberto Mancini was sacked as the club’s ambitious Abu Dhabi owners finally lost patience with the Italian. The 48-year-old Mancini’s dismissal follows City’s shock FA Cup defeat by Wigan on Saturday and their inability to defend the English Premier League title the club won last season, with rivals Manchester United running away with the league this season. “Despite everyone’s best efforts, the club has failed to achieve any of its stated targets this year, with the exception of qualification for next season’s UEFA Champions League,” said a City statement. Sheikh Mansour bin Zayed Al Nahyan completed a reported $300 million takeover in 2008 and has spent millions more in making City, who will finish second this season, into a major force in the Premier League. After buying City, Sheikh Mansour invested more than $600 million on players like Sergio Aguero, Yaya Toure and Carlos Tevez, and helped the perennial underachievers beat neighbors Manchester United to the title on goal difference last season. Mancini’s dismissal comes a year to the day since City beat Queens Park Rangers to win its first top-flight title in 44 years and nearly two years to the day since he won the club’s first trophy in 35 years, when beating Stoke City in the 2011 FA Cup final. Yet the club did not make it out of their Champions League group this season, becoming the first English side to fail to win any of its six matches during the group phase of the competition. The buildup to the FA Cup had been overshadowed with widespread rumors that Mancini, who signed a five year deal last July, would be replaced by former Real Madrid coach Manuel Pellegrini, who guided Malaga to this year’s Champions League quarterfinals. “This has been a difficult decision for the owner, chairman and board to make and it is the outcome of a planned end of season review process that has been brought forward in light of recent speculation and out of respect for Roberto and his extensive contributions to the football club,” added the City statement. On Sunday night, Pellegrini told Malaga’s website that he had not lined up any move to become Manchester City’s next coach. “I categorically deny I am the new Manchester City coach, nothing has been signed and no agreement reached,” said the Chilean. City’s assistant manager Brian Kidd has been placed in charge for the remaining two games of the season and the club’s post-season tour to the United States before a permanent manager is appointed. “Roberto’s record speaks for itself and he has the respect and gratitude of Sheikh Mansour, myself and the Board for all of his hard work and commitment over the last three and a half years,” said chairman Khaldoon Al Mubarak in the City statement. “He has clearly also secured the love and respect of our fans. He has done as he promised and delivered silverware and success, breaking the club’s 35-year trophy drought and securing the title in 2012. City’s sacking of Mancini came on the day United held a victory parade to mark their 20th league title and Sir Alex Ferguson’s retirement, an event that drew thousands of fans on to the streets of the English north west city. Mancini leaves with the fourth highest win percentage of any manager in the Premier League, a record bettered only by former Chelsea coaches Jose Mourinho and Carlo Ancelotti, as well as Ferguson himself. The trophies aside, Mancini’s time at City is likely to be remembered for several rows with star players, most notably Carlos Tevez and Mario Balotelli, and for engineering Manchester United’s worst home defeat in 56 years as City won 6-1 at Old Trafford, the first time the Red Devils had conceded six goals at home since 1930. A former coach of Inter Milan, Mancini was appointed in December 2009 after the club sacked Mark Hughes and was afforded millions to spend in the transfer market by the club’s oil-rich owners. Last August, the Manchester club appointed former Barcelona board member Ferran Soriano as their new chief executive, while in October City appointed former Barcelona technical director Txiki Begiristain as their director of football. Share the post "Coach Roberto Mancini was sacked"